Bought this with another product for my son; worked great. Would purchase again. The quality of this product is outstanding and it's price can't be beat. This product is a winner all around. Keep up the production of a great item at a great price. I'll be ordering all of my ink needs from this company. I recommend this product to all. As a photographer, I was skeptical and questioning if it would work but it was amazing. Fabulous!! Thanks for making my life happy. Cartridges are so affordable, easy to use and just great quality!! Where have you been all my life? Very pleased with this product and price. I will recommend this company to my friends and I will buy again. I choose your product because I couldn't find a cartridge at a price i could afford. The quality of the cartridge is better than I could hope for. The colors are brilliant. I will being again and telling others about your company. It's tough to find a reliable long lasting COLOR ink cartridge. Lots of companies pretend to have the best. This cartridge performs better than advertised! Buying and re-buying it is a no-brainer! 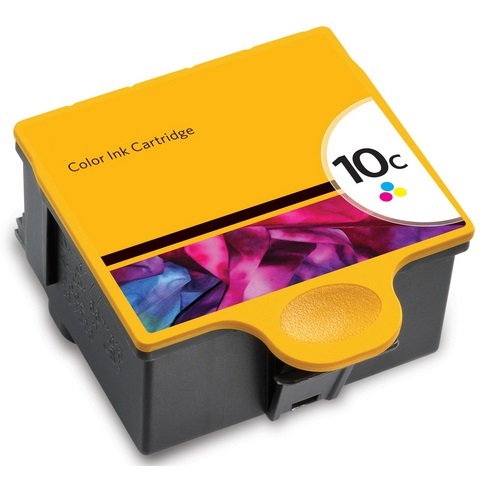 You won't find a better Color ink cartridge EVEN from Kodak than this one from Ink Technologies!! The price and quality of your ink is excellent. I used it today, for the first time. It's every bit as good as the Kodak ink, at a fourth the price. I will reorder as needed, and be sure to tell my business partners, friends, and family. of your product. Excellent quality and great value. I will certainly buy again. Cartridges are just as good as the Kodak brand. Will buy again. This ink works really well. Dries quickly and doesn't smear. This is by far the best price I could find! Very good product and the cost was low. I saw other ink refills that were higher in price. I just thought I would give the lower priced items a try, and I'm glad I did. I really needed color ink and the price of these were excellent! The shipping was fast and on time and now I have a spare for emergencies. This is a great product, great price, and I will use it over and over again. Best deal you can find! Best Quality you can ask for! The color ink cartridge is 1/3 of the price of Kodak. Would not ever consider anything else. It is a nice product with a cheap price. Very speedy shipping. Nicely packaged. Fair shipping costs. So far so good with this ink. Exactly as Noted.